Stay informed with the latest news from DTH Development! Here you can find all updates regarding new extension releases, bug fixes, feature updates, and more. 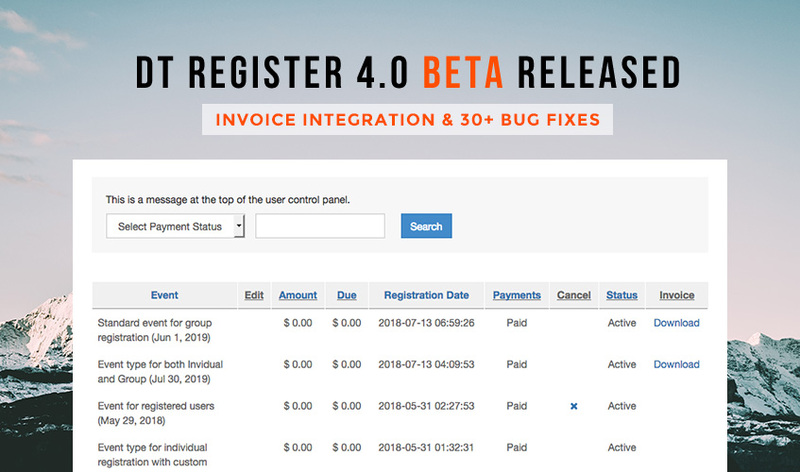 Today we would like to announce DT Register 4.0 Beta update for new feature of DT Invoice extension integration as built-in function at core and 30+ bug fixes. DT Register 4.0 is a major release with new features, core improvements, workflow updates. 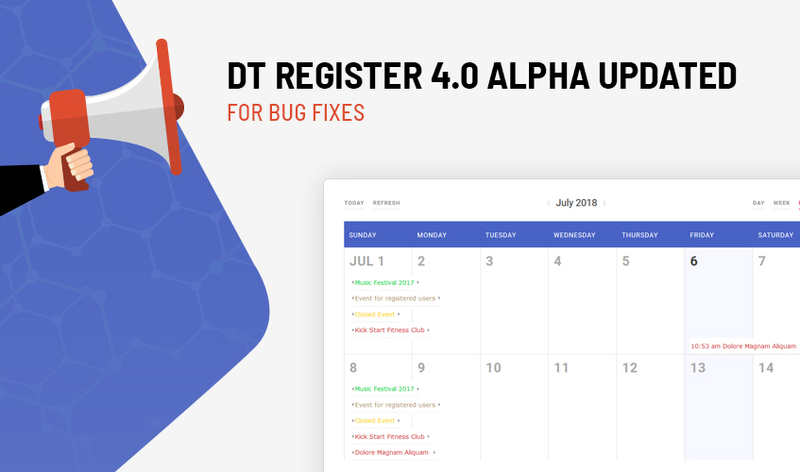 Today we would like to announce DT Register 4.0 Alpha update for bug fixes and responsive improvement. DT Register 4.0 is a major release with new features, core improvements, workflow updates. DT Register 4.0 is a major release with new features, core improvements, workflow updates and bug fixes, some have been presented in the preview 1 and preview 2 releases. 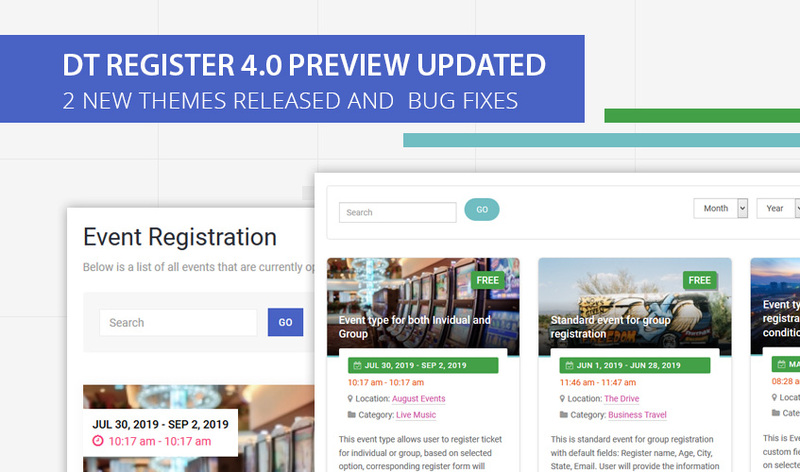 Today we would like to announce DT Register 4.0 preview 3 release update with 2 new themes and 30+ bug fixes. 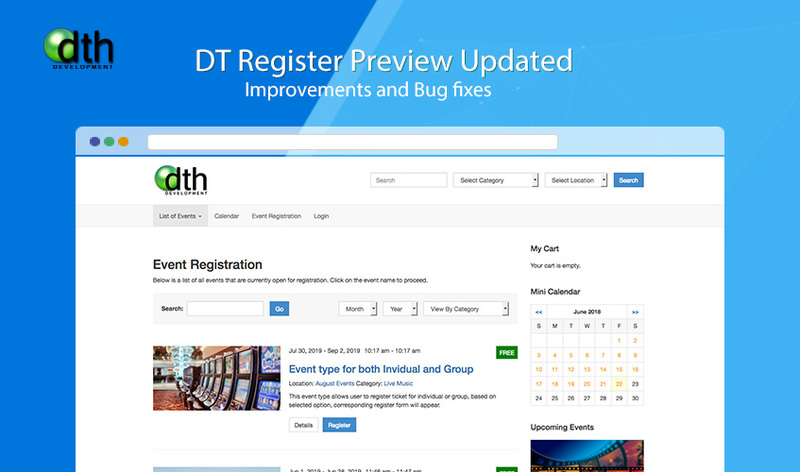 Last week we released preview for DT Register with major changes, new features and Improvements. We got good feedback plus bug reports from user and today we would like to announce an update for DT Register Preview version with more improvements and 30+ bug fixes. 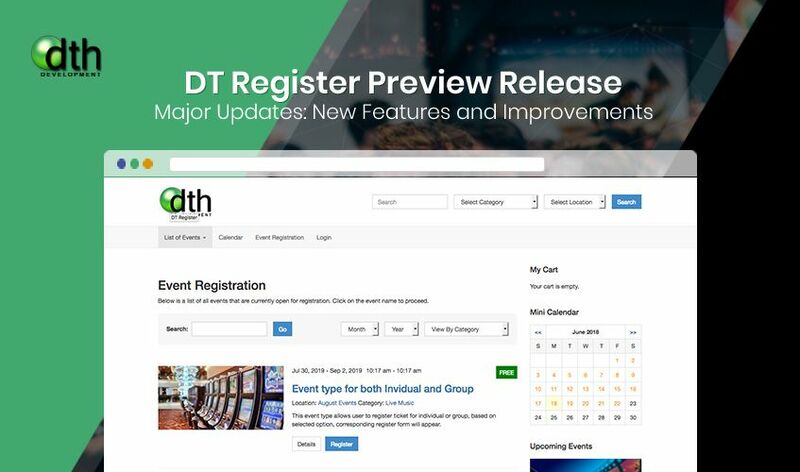 Preview release of DT Register - one of best Joomla event registration extension with following new features and major updates is available for download. In terms of features, DT Register has always been on the lead but from UI/UX point of view there is lots that can be improved and that's what we did. Please go through the important changes that have been made to DT Register to extend its scope as well as design and theme updates. © 2006-2018 DTH Development - A JoomlArt Company. All rights reserved.